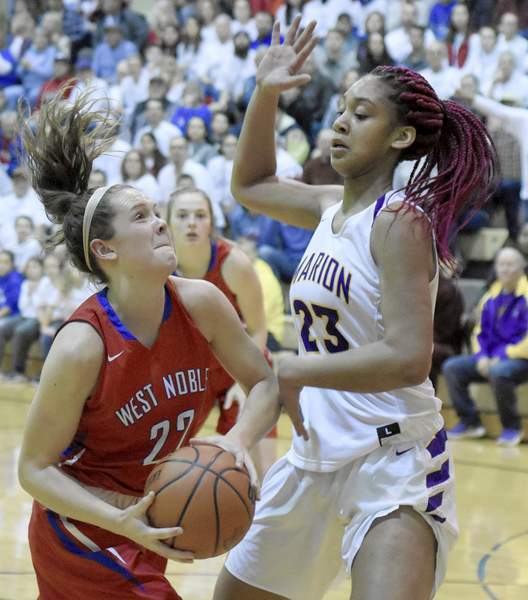 Rachel Von | The Journal Gazette West Noble's Madison Schermerhorn and Marion's Jazmyn Turner struggle for the ball during the second quarter at Columbia City High School on Saturday. Rachel Von | The Journal Gazette West Noble's Lilly Mast shoots the ball as Marion's Ayana Harvey tries to block the shot during the second quarter at Columbia City High School on Saturday. 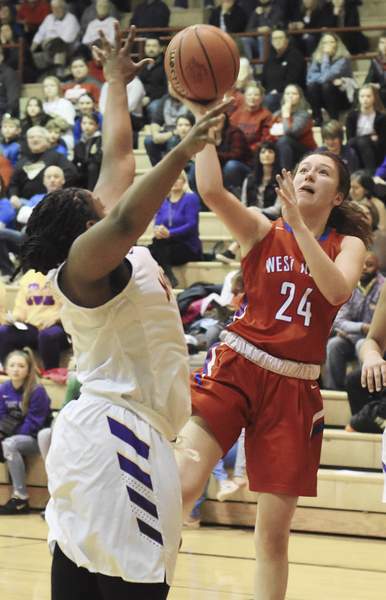 Rachel Von | The Journal Gazette West Noble's Madison Schermerhorn tries to shoot the ball as Marion's RaShaya Kyle tries to block the shot during the second quarter at Columbia City High School on Saturday. 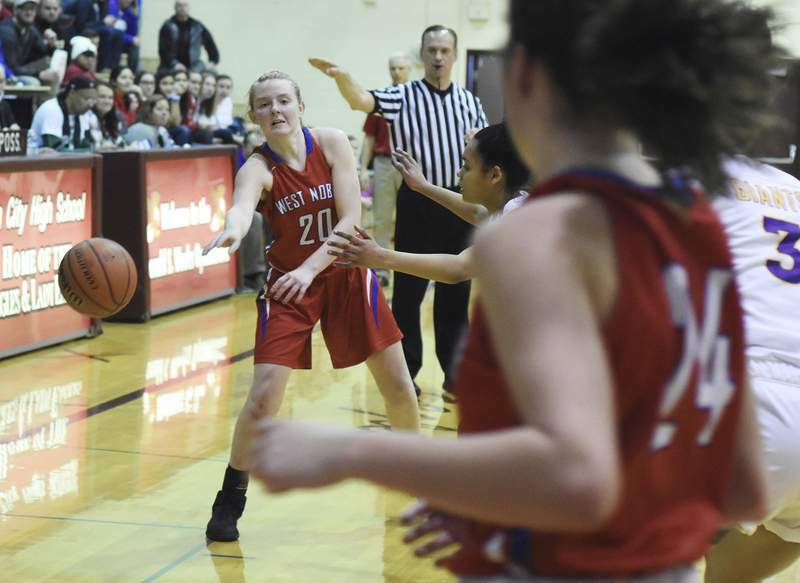 Rachel Von | The Journal Gazette West Noble's Madison Schermerhorn prepares to pass the ball during the second quarter against Marion at Columbia City High School on Saturday. 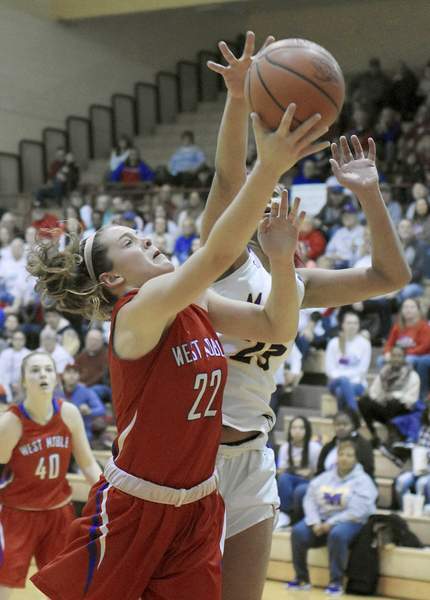 Rachel Von | The Journal Gazette West Noble's Tara Miller passes the ball to a teammate during the second quarter against Marion at Columbia City High School on Saturday. 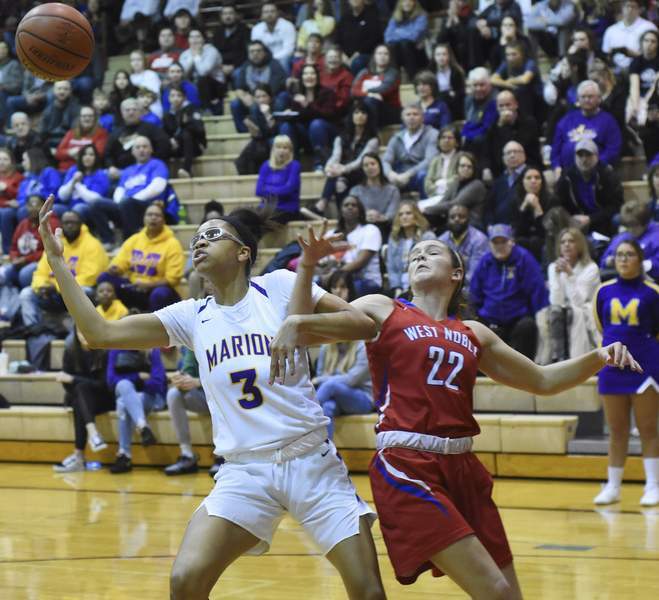 Rachel Von | The Journal Gazette West Noble's Madison Schermerhorn tries to get around Marion's RaShaya Kyle during the second quarter at Columbia City High School on Saturday. 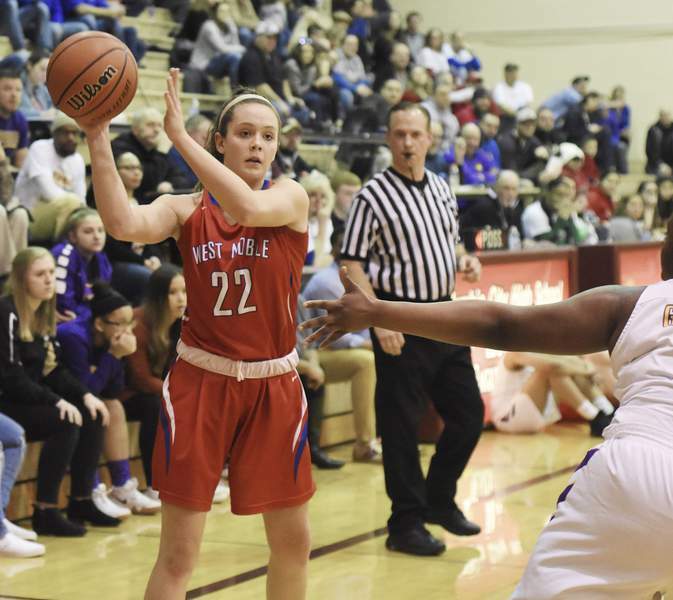 The West Noble and Marion girls basketball teams played in the Class 3A Columbia City Regional on Saturday afternoon.